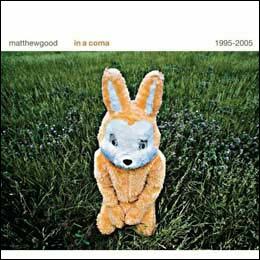 "In a Coma" is the title of the Matthew Good 'greatest hits' album. It encompasses the period from 1995 to 2005. The album features work from Matthew Good's solo career as well as his work with the late Matthew Good Band. The album was released in two forms: the 'regular edition' and the 'deluxe edition.' The standard edition consists of one audio disc while the deluxe edition includes an additional compitional disc and a DVD. The first disc of the compilation consists of the 'greatest hits' while the second disc, "Rooms," features an all acoustic set. The DVD contains the Matthew Good / Matthew Good Band music video collection, pictoral slideshows, and a brief documentary on the making of the acoustic CD. The DVD also feautres audio commentary by Matthew Good and video director William Morrison. The hidden bonus feature can be accessed by selecting the asterix (*) in the main menu of the DVD. The slideshow consisted of several photographs of a person in a yellow bunny suit in various locations and positions. The soundtrack features Avalanche, A Long Way Down, Pledge Of Allegiance, Blue Skies Over Bad Lands, and House Of Smoke And Mirrors. The first single released was Oh Be Joyful! on July 24th, 2005. The album was realeased on September 20th, 2005. 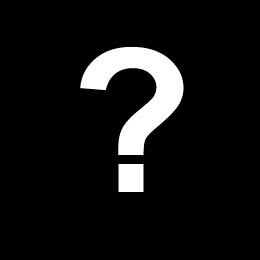 A few days before its release, disc one of the album was leaked on the Internet. The lyrics for Big City Life were noticably different from the live version heard before. The hidden bonus feature can be accessed by selecting the asterix (*) in the main menu of the DVD. The bonus feature is an animated video for While We Were Hunting Rabbits. The While We Were Hunting Rabbits video was created by students at Sheridan College. The deluxe edition comes with an additional CD and DVD. The DVD features 17 music videos. The acoustic CD is 37 minutes long and features 9 acoustic recordings recorded continuously without pause. The compilation comes with two brand new songs: Oh Be Joyful! and Big City Life. The b-side Pony Boy, meant for Audio of Being, is also included though All together, another b-side from Audio of Being, is not. All together was available when you pre-ordered the album off of iTunes. Oh Be Joyful! was named after moonshine that US Civil War soldiers produced to pass the time.